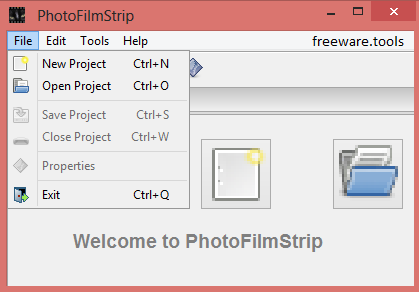 PhotoFilmStrip is a portable tool that creates movies out of your pictures in just 3 steps. First select your photos, customize the motion path and render the video. There are several output possibilities for VCD, SVCD, DVD up to FULL-HD. The effect of the slideshow is known as "Ken Burns". Comments of the pictures are generated into a subtitle file. Furthermore an audio file can be specified to setup the background music for the slide show. Features includes simple and easy to use graphical user interface, comfortable way to specify the motion path for each picture. No Installation needed. Making a good first impression can someday unlock many doors. In the case of project presentations, these can be enhanced and supported with clips or slideshows. With the help of specialized applications like X-PhotoFilmStrip you are able to design just the right presentation, or simply wrap your photos in an animated album. The application's core function is to allow you to quickly create a slideshow out of image files found under some of the most commonly used formats. Once a new projects is created, you are able to easily drag desired elements over the main window or have them loaded through the dedicated menu. These are displayed on a film strip through which you can scroll and manually have pictures arranged as you see fit. Unfortunately, there is no implemented feature that allows you to switch to a timeline view and carefully adjust duration of a slide. One of the biggest disappointments is the lack of a preview section. You can only get a glimpse of how all applied effects enhance the visual experience once the video file is created. Most of the main window is taken up by the effects manager. A selected pictures is displayed in two sections so that you adjust panning with the help of adjustable rectangles. Additionally, you can apply effects to further enhance the resulting video, but you can only choose from an incredibly small list and nor can you create custom profiles. This is because editing options are limited to rotation, cropping and applying effects, lacking at least color adjustment sliders. All imported images can be exported to a movie file of several formats, such as AVI, MPG and FLV. The process is finished in the blink of an eye and luckily, a dialogue screen asks you whether or not you want to open the destination directory, because it can only be set when creating the project. To sum it up, X-PhotoFilmStrip is a fast solution to assembling multiple images into a single slideshow to aid you with a project presentation.